If I had one major takeaway from SXSW - other than music is headed in a good place - it would be that the future of music appears to be female. Point in case: all the rad femme bassists, drummers, lead singers, and all-female bands that showcased in Austin, TX this past week. 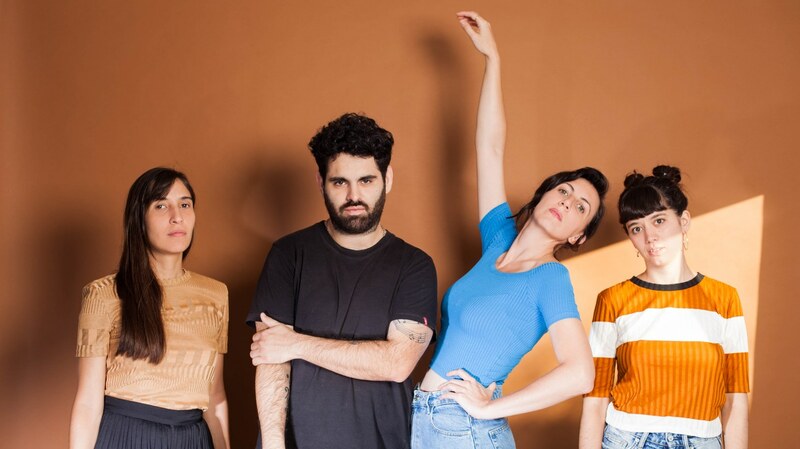 Insert into this equation, Rocío Bernardiner, Rocío Fernandez, and Inés Copertino from Buenos Aires, who collectively make up 3/4th of Amor Elefante. The entire band is incredibly talented on each of their instruments, but Rocío Fernádez commands your attention while wailing away on the skins/drum pad and often times singing lead vocals. Amor Elefante makes their LA debut at the Hi Hat this Wednesday, March 20th alongside Pan Caliente favs The Mexican Standoff. If Musica-Indie is your vibe... they are a must see! Their 4th studio album, Billetes Falsos was released this month and is available on all streaming platforms.